to protect the highly valuable resource we all share, Lake Lanier. Join us with a membership that fits your circumstances — individual, family, business member, or business sponsor. There are several Personal Membership levels for individuals and families. Choose the ones that best reflects your perception of the value of the organization. Of course, we appreciate all membership levels. There are several membership levels and sponsorships opportunities for businesses or all sizes who want to support LLA. Again, we greatly appreciate all levels of support. We welcome financial support in all forms and are truly grateful to benefit from giving opportunities outside of membership. Lake Lanier Association is an organization managed by volunteers and funded by members and sponsors for the sole purpose of preserving and protecting the lake, the community, and the wildlife that surrounds it. Our specific goals focus on preserving water quality, water quantity, recreational opportunities, and overall beauty of the lake as a natural wonder. All members, both individual/family and businesses, are eligible to actively participate in the association in a multitude of ways. LLA has many specific initiatives that offer opportunity for anyone wanting to get involved in the areas that they are most passionate about. Your financial and volunteer support is essential for LLA to continue its work as guardian and conscience of the Lake Lanier community as we strive to sustain one of North Georgia’s most valuable resources, Lake Lanier. You will know that you are helping to sustain Lake Lanier as a clean, full and safe lake for current and future generations. You can participate in our programs — it is easy to get involved with important initiatives such as Adopt-a-Lake water quality testing, Solar Lights, Abandoned Boats/Derelict Docks, our annual Shore Sweep, and other programs sponsored by the association. You will receive invitations to political forums where federal, state and local candidates share their positions on issues affecting Lake Lanier. You will have access to the LLA Board of Directors and Executive Director — as a group, these volunteers represent a valuable resource regarding Lake Lanier issues. 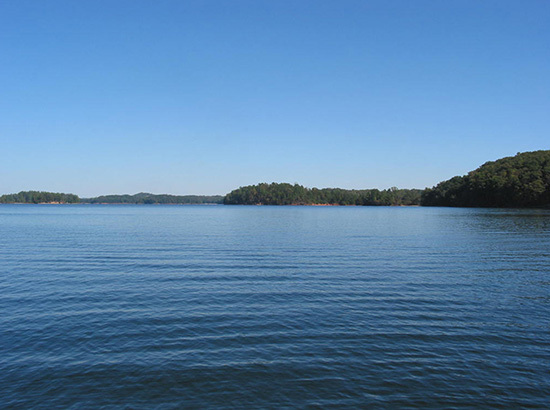 You will receive notices regarding important meetings and hearings regarding Lake Lanier.